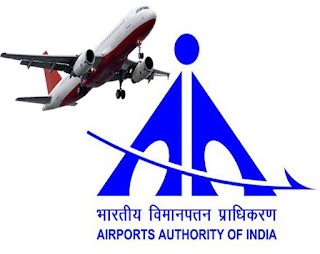 AAI Recruitment 2018 2019 has announced for various vacancies, It has released for Land Management Directorate Posts. Want to apply for it? Here we have updated latest info about process of examinations and interview, eligibility criteria, Offline registration processes, payment of prescribed application fee/intimation charges, AAI pattern of examination, AAI Syllabus, AAI Question Paper, AAI Admit Date Release Date, AAI Exam Date, AAI Result Date. Check below all details. The Airports Authority of India or AAI under the Ministry of Civil Aviation is responsible for creating, upgrading, maintaining and managing civil aviation infrastructure in India. It provides Air traffic management (ATM) services over Indian airspace and adjoining oceanic areas. It also manages a total of 125 Airports, including 18 International Airports, 7 Customs Airports, 78 Domestic Airports and 26 Civil enclaves at Military Airfields. AAI also has ground installations at all airports and 25 other locations to ensure safety of aircraft operations. AAI covers all major air-routes over Indian landmass via 29 Radar installations at 11 locations along with 700VOR/DVOR installations co-located with Distance Measuring Equipment (DME). 52 runways are provided with Instrument landing system (ILS) installations with Night Landing Facilities at most of these airports and Automatic Message Switching System at 15 Airports. 3 The minimum experience shall be often years in the relevant field. 4 The eligible candidate shall be clear from vigilance / disciplinary angle at the time of retirement. In this regard, the candidate has to submit supporting document from his previous Govt. Deptt. 6. The application for consultant should reach the following address by Registered [Speed Post/Scanned mail copy (e-mail to gmhrsr@aai.aero) on or before20.02.2018positively. In case forwarded by scanned mail copy that should be followed by hard copy duly signed.